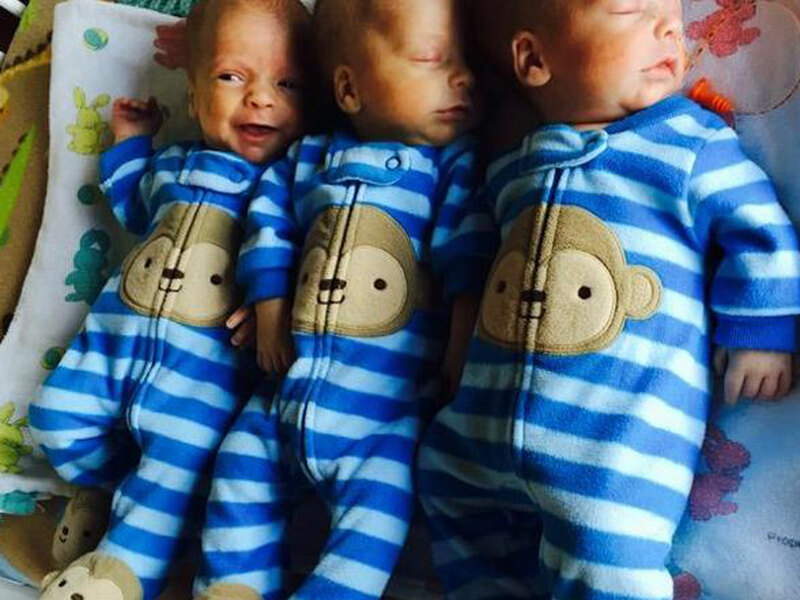 Identical triplets are rare - there's roughly a one-in-a-million chance of it happening - but a Montana family grew a lot more quickly than it expected after having them in December. Jase and Jody Kinsey of Miles welcomed three more boys into their family all at once in December at Billings Clinic, reports CBS affiliate KVTQ in Billings. "It's kinda almost overwhelming," Jase said. "When you think about when they get a little older, are they all going to play the same sports? Or are you going to go 50 million directions and be able to help all of them as much as you can. But I can't wait for that to come. I'm so ready." The triplets, named Milo, Ian, and Cade, will soon be joining big brother Jax, who is 6-years-old. Billings Clinic registered nurse Tiffany Draayer told KVTQ Jody didn't have complications and the pregnancy went smoothly. Identical triplet sets are rare because it requires a singular fertilized to split twice. In February, Philadelphia couple Allison and Wes Rhoa also gave birth to identical triplets Ava, Avery and Alissa. A set was born in January in Southern California, where April and Brad Dooley welcomed sons Patrick, Owen and Liam. And just a month earlier, another California couple, Hannah and Tom Hepner, became parents with the arrival of identical triplets Abby, Laurel and Brin.